Mike teaches Striving for the Divine, Rav Kook and Jewish History at Pardes. He has learned Torah in a number of Jerusalem area institutions, including Yeshivat HaMivtar, the Mir Yeshiva and Sulam Yaakov, where he studied for smikha (rabbinic ordination) and served as Educational Director. Mike’s teaching is a mix of rigorous analysis and a passionate love of the poetry found in Torah. 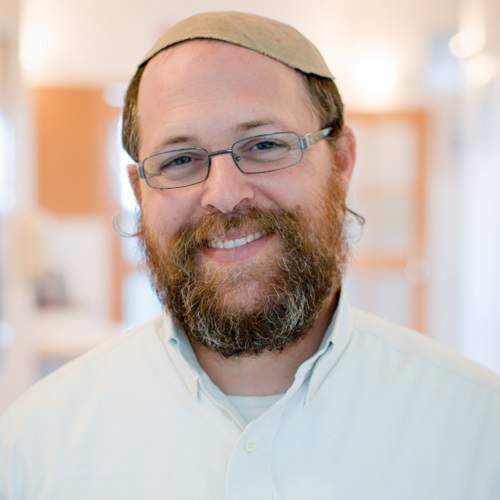 Since making aliyah in 2001, he has been the program director of a post-high school yeshiva, taught history, Jewish thought and Bible in several Jerusalem yeshivot and midrashot. Today, as a consultant, spiritual counselor and creator of the Jewish Story podcast, Mike is driven by the power of story to shape our world. Online learning: Click here to view online learning material from Mike on Elmad, online learning powered by Pardes.